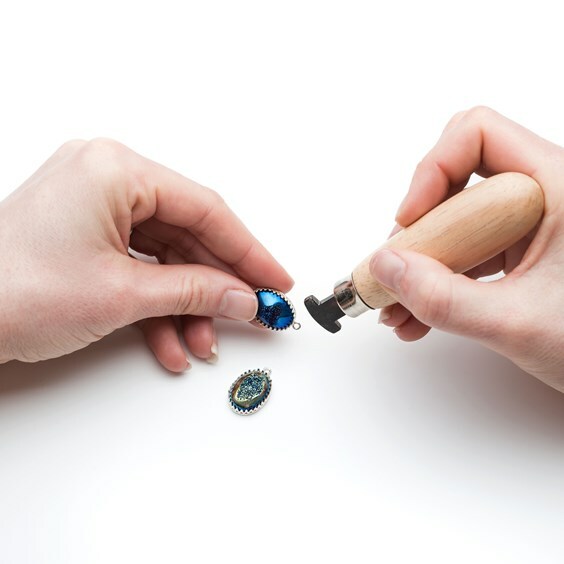 Setting certain stones can sometimes feel very daunting which will all too often come between a jeweller and setting stone they love! We think nothing should come between you and the stones you love, so in this blog post we give all our best tips and advice on techniques, tools and resources when it comes to setting stones. A pin vice allows you to make small adjustments by hand when setting stones, you can attach a stone setting burr (among other attachments) which is used to adjust setting depths. A pin vice is perfect for when you would like to make those extra fine detail adjustments that aren't always easy with an electric tool. A curved burnisher is great for smoothing metal over stones during the setting process. Burnishing is also a useful technique for hardening metals plus they are extra useful for those using metal clay! - An all round handy tool to have. Gravers are used for engraving metals and creating grooves, raising grains and carving mounts for stones. Our Top Quality German Gravers are made from high quality steel so they stay sharp and last for a long time. A bezel rocker gives a lovely, even result when used to 'roll' the bezel over a stone and helps to prevent any creases or unsightly marks in the metal. A pusher is a simple and affordable tool for pushing claws or bezels over stones during setting. To view the bezel rocker click here. To view the pusher click here. From tube, flush and tension settings to claw, bezel and wire settings - there are a number of options to choose from depending on the cut of your stones. 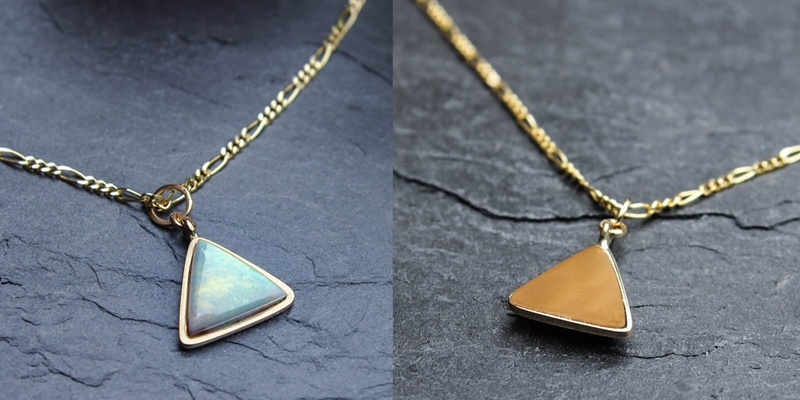 Here's a look at three settings we think are really adaptable for different shaped stones. This gorgeous necklace featuring one of our stunning Lightning Ridge Crystal Opals was made by Joe Brady of Pink at Dusk. Joe was unsure of how to set this gorgeous triangular stone, so a member of our team talked him through the process of a wire edge setting and we think you will agree the results are amazing! 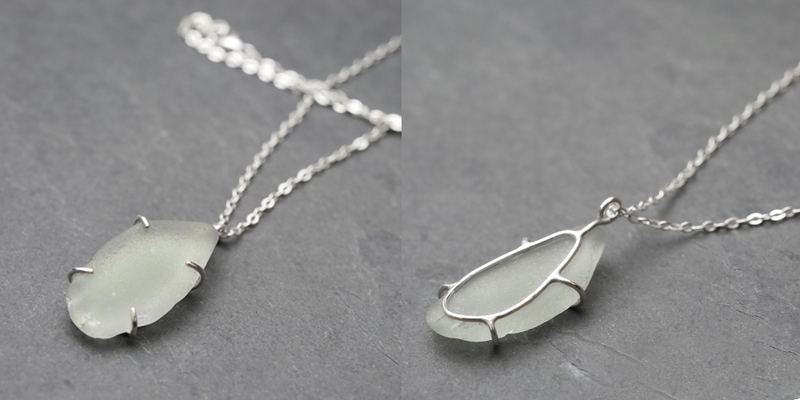 The overall process involves shaping wire around your stone, soldering the join together, then creating a back plate from metal sheet and soldering the wire shape onto this. You then glue your stone into the setting with strong epoxy glue such as Devcon. 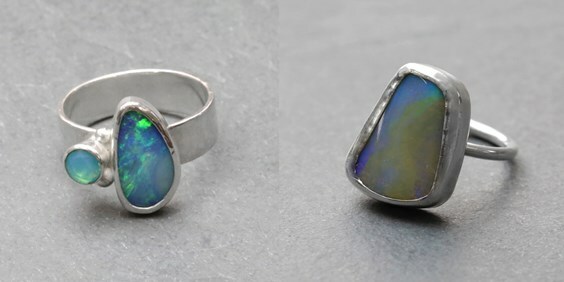 Prong or claw settings are a great, accessible option for irregular shaped stones such as sea glass, some free-form boulder opals and rough crystals. We've created this setting by forming a ring and prongs from wire and soldering them together. The ring needs to be smaller than the base of the stone and the prongs need to be long enough to go around the edge of the stone. Once ready, you then place the stone within the settings and push the prongs over the stone. A bezel setting takes a little more precision and patience than the previous two settings - attention to detail and spending time on ensuring the bezel is an accurate fit to the stone is vital in creating a neat setting. The idea of a bezel setting is to mould bezel strip to the shape of your stone, solder the join together and then solder the shape to a metal sheet base. You then saw the metal sheet base to the shape of the bezel strip and set the stone by working the bezel strip around the edge of the stone - ensuring it is secured in place. 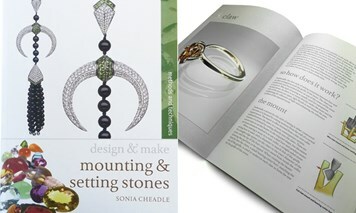 This book is a really clear and practical introduction to mount construction and the processes of stone setting. Suitable for both students and practising jewellers wanting to learn new skills, this book explains how different stones and cuts relate to their mounts as well as giving step-by-step instructions on how to fix the stones in place. This is a firm favourite of ours! This book is beautifully illustrated with step-by-step guides and skill levelled tutorials supported by practical tips and advice. 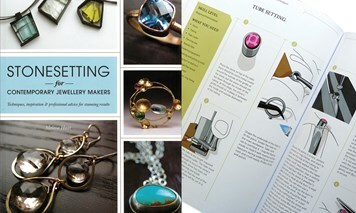 It contains 7 chapters dedicated to different stone setting techniques and explains about different stone types, cuts and how these relate to the settings and mounts. This is one of our best selling books! 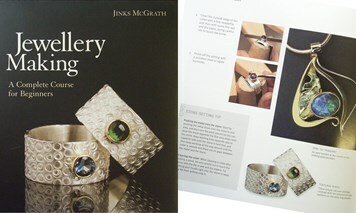 It is a very practical book which takes you through all the essential jewellery making processes from basic soldering, through to casting and stone setting as well as giving advice on buying tools, stones and other materials.